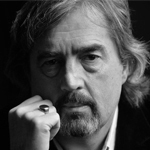 The great Irish writer Sebastian Barry visits the ILS on 30 January to join in conversation with Prof Roy Foster about his new novel Days Without End. but something that would go on for ever, all rested and stopped in that moment. ultimately, the Civil War. Having fled terrible hardships themselves, they find these days to be vivid and filled with wonder, despite the horrors they both witness and are complicit in. Their lives are further enriched and endangered when a young Indian girl crosses their path, and the possibility of lasting happiness emerges, if only they can survive. Sebastian Barry was born in Dublin in 1955. His novels and plays have won the Costa Book of the Year award, the Kerry Group Irish Fiction Prize, the Irish Book Awards Novel of the Year, the Independent Booksellers Prize and the James Tait Black Memorial Prize. 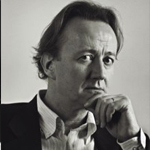 He also had two consecutive novels, A Long Long Way (2005) and the top ten bestseller The Secret Scripture (2008), shortlisted for the MAN Booker Prize. He lives in Wicklow.